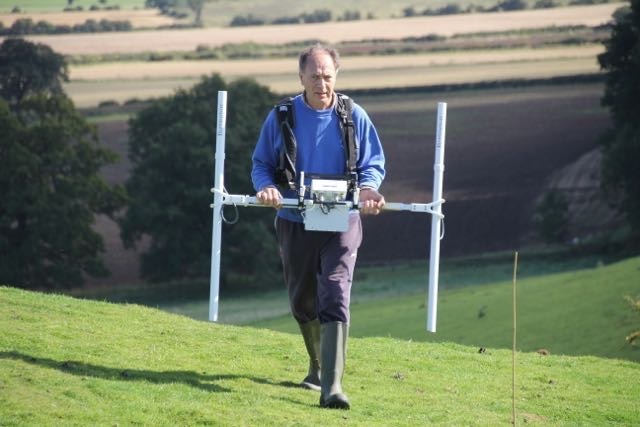 After about one year in the planning, with a number of hitches and hold-ups until a date could legitimately be fixed, the History Club carried out its first ever Geophysical Survey yesterday, on Beacon Hill. 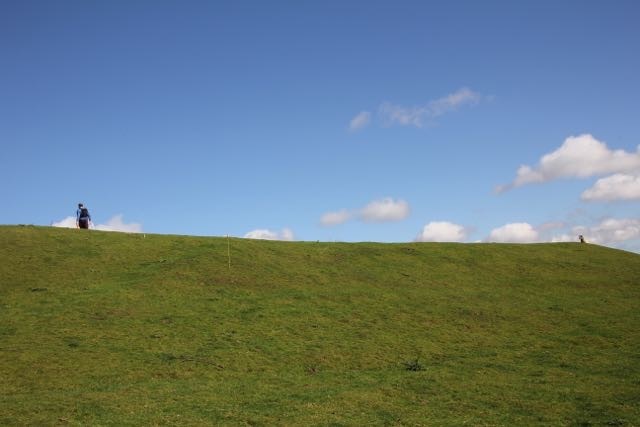 The survey was carried out by kind permission of James Arguile, the landowner, and Historic England, from whome we required a licence as the site is listed and protected as a site of historic interest. 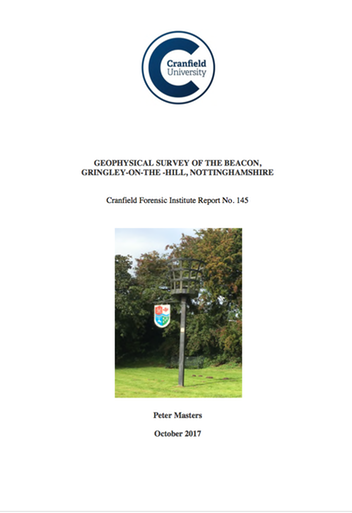 Peter Masters, of Cranfield University Forensic Institute, was commissioned to survey both Beacon Hill and the immediate surrounds with a Bartington Magnetic Reading Device. 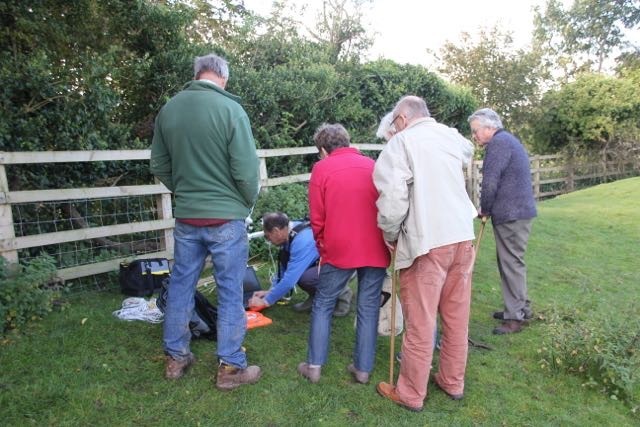 A number of Club Members attended and did their best not to get in the way as Peter first of all marked out the site, calibrated his machine with a compass and to balance the magnetic readings, then marched off systematically covering the agreed area. One solitary sheep came to observe progress, and lunch was briefly interrupted by three ponies, but the work was safely completed by about 3.30pm. Peter plugged the data into his laptop on site, and was able to provide some preliminary conclusions to the assembled observers. He will however provide a detailed report as part of the project. This process is only one of a number of non-intrusive techniques that could be used to investigate the mound and the site. The early conclusions were not exciting - plenty of predictable evidence of bonfires on the summit, but no other indications of dwellings or structures. However one patch of ground away from the primary mound did show slight signs of possible archaelogical interest, so Peter extended his search area around this. A collection of photos from the day are shown in the SCRAPBOOK Section of this Website.